In our last episode, we talked about a dollar that was a lie--it was a piece of lead-nickel that appeared to be a 1797 United States silver dollar, but wasn't. You see that coin up above? It's not counterfeit. It's a picture of a $50.00 coin. Made of real gold. But it is still a lie. What you see is a $50 dollar gold piece. Prettiest coin design we've ever had. It should be--it was created by Augustus Saint-Gaudens, one of the great sculptors of all time. It contains one full ounce of gold, at 99.9% purity. It was (really) made by the United States Mint. "A Family of Eagles." By Mrs. Miley Frances Busiek. And it says that it's $50.00. There's even a law that says it's $50.00. But that, again, is another lie. It says here that there is an effort afoot to determine the names of certain individuals who threatened jurors in a Federal criminal-tax trial in Las Vegas, NV. Apparently, they're trying three people in that city for violating the tax laws of the United States, apparently for believing what the government told them. And the trial has the locals there so angry, so up in arms, that some of them have threatened violence against the jurors should they convict. Now this is a serious matter, and I'm not condoning the actions of the threateners (although I can understand why the newspaper involved doesn't want to give up the information). The people of Lost Wages are apparently angry that these three people are being tried because they, er, actually took the United States at its word. 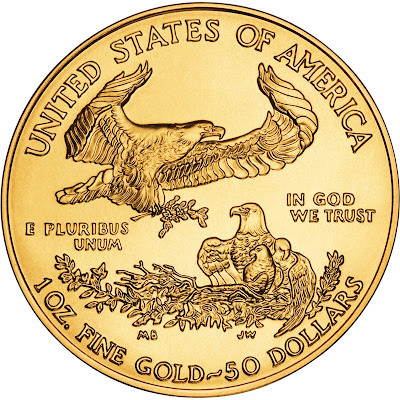 According to the Las Vegas Review-Journal, some businessman is on trial for using $50 gold coins to pay as wages--then claiming in each instance that they were paid only $50. Now, that's very interesting. Last time we discussed dollars that claimed to be dollars but were worthless--they're counterfeit. And here we have a man using perfectly legal $50 coins to pay his employees: legal tender by Federal law. And yet they're trying to put him in jail for doing what the law says he should be legally allowed to do. Now we both know what's going on here. This character is trying to jimmy the system so that he doesn't have to pay taxes on the "$50.00" in wages he paid his employees. You, and I, ... and he ... all are aware that this was nothing more than an attempt to dodge taxes by playing games with the tax code. But I'm here to say this: the guy at least gets points for cleverness. Or being too clever. But then, what does this say about what a dollar really IS? It's simple, really. A dollar is what the Federal Reserve says it is. NOT the Federal government itself. Even when the Federal government makes "gold money," it's not making money. 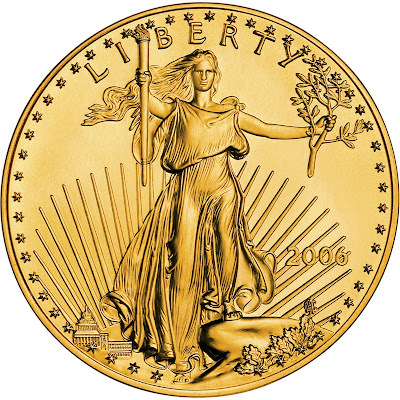 It's reshaping gold into a pretty shape with pretty slogans impressed in it: "United States of America." "In God We Trust." "Liberty." "E Pluribus Unum." Which may or may not mean anything anymore. And one other pretty slogan as well in this case: "$50." PS. It should be noted that the gentleman in the story above was subsequently .... convicted and sentenced to fifteen years' imprisonment for tax fraud and tax evasion. Really.